Time to bring you news of two more titles from BBC Worldwide, both turning up in August on DVD. 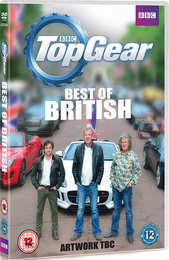 The first of these is Top Gear: Best of British arriving on the 4th with a recommended retail price of £13. This looks back at some of Top Gear’s finest encounters with the very best of British cars and, sometimes, the very worst. Within this lavishly crafted plastic box you will find Bentleys, Morgans, Rolls-Royces, Lotuses and the glorious Jensen Interceptor. On a slightly less glamorous note, there’s also the British Leyland Challenge in which Jeremy, Richard and James try to prove that the strike-prone 1970s behemoth actually made one or two good cars. When you’ve had your fill of rust and despair you can move on to the presenters’ flag-waving celebration of all that is great about car-building in Blighty, ending with a spectacular, tear-jerking line-up of British-made metal on The Mall. 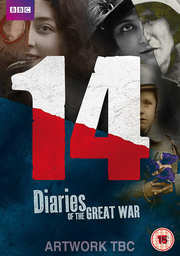 Following the above on 25th August is the series 14 Diaries of the Great War, carrying a retail price of £30.63. When the First World War broke out in Europe in July 1914, people on all sides believed it would be over by Christmas. Little could they know just how wrong they were. By November 1918, ten million people had died, and the political map of the world had been re-drawn. Caught up in the middle of this chaos were millions of ordinary men, women and children. Their very lives changed in ways they could never have imagined.